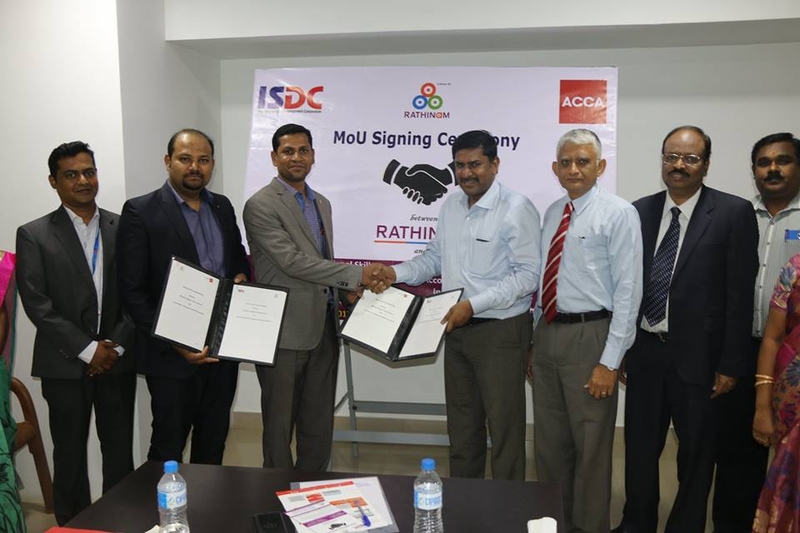 A great opportunity for Commerce +2 Students . . Rathinam signed MOU with Association of Chartered Certified Accountants (ACCA) - a Royal Charter Institution, London, U.K.& ISDC (International Skill Development Corporation) - gold approved learning partner of ACCA, Bangalore for Enriching & Adding Value for students pursuing B.Com and MBA @ Rathinam. Benefits and Advantages: Students will get in addition to their B.Com and M.B.A degrees a) an Advanced Diploma in Accounting and Business from ACCA, London, U.K. b) a B.Sc in Applied Accounting from Oxford-Brookes University, London, U.K. c) These qualifications equip students to get job opportunities in large MNCs. d) Students can also appear for ACCA’s Certificate exam in IFRS (International Financial Reporting Standards) Note : students will get exemption for 6 papers out of 9 papers which are actually required for obtaining these extra qualifications.